It’s that time of year again—now that the weather is nice, everyone is starting to make big screen cleaning plans for their home, seeing just how much they can get done. First things first, anyone who’s tried to clean a warehouse, office, or other workplace knows just how hard it can be to pull off during the hustle and bustle of a normal workday. Make sure to schedule your efforts at a date and time where you won’t get in the way of your other workers. Set up your cleaning projects to happen after hours when staff levels are reduced, or if you’re paying an outside cleaning company, try to schedule them for weekends or whenever the office is sparsely populated. 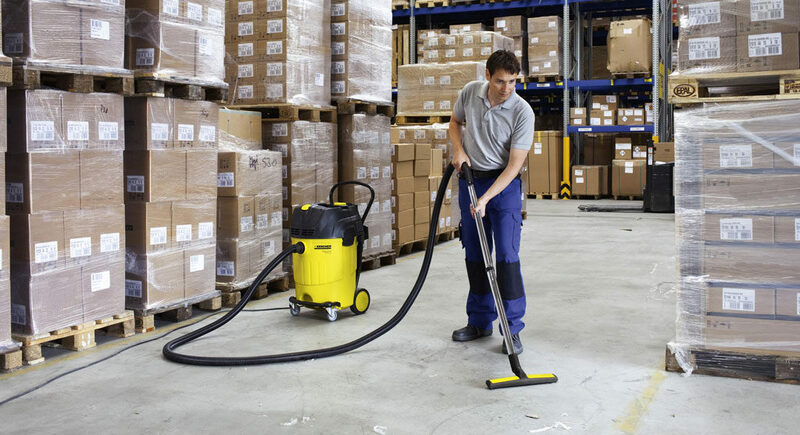 Much like cleaning at home, cleaning a warehouse can quickly become overwhelming without setting the right goals. A good way to avoid this is to make sure you tackle your cleaning projects section-by-section, all with due dates to keep your eye on the big picture. Print labels to put on your wire shelves and pallet racks that specify when they need to be purged and reorganized, and go down the line completing them in order to ensure you hit all of your deadlines as needed. Let’s face it—even though there’s going to be a lot of leftover inventory to keep around (or at least get prepared to send back to the manufacturer), there’s going to be an awful lot of garbage you can purge from your warehouse during the process. So, think about renting a dumpster to make it easier. Dumpsters will give you a large target to take all of your refuse, and will give you a visual reminder that some stuff just needs to get thrown out. Even if your budget doesn’t really allow for calling in outside help (like a cleaning company), you already have a great resource for your cleaning projects: your current staff. As capacity allows, divide your staff up into smaller teams and give each of them a designated task to handle during their shift. You’d be surprised how fast things get done this way. Above and beyond the reorganizing of pallets and the disposal of unneeded items, spring cleaning is also a good time to make sure your storage and equipment are in good working order. Perform any needed forklift tune-ups (it needs them the same as any other engine), tighten the bolts on your pallet racks, make sure your warehouse conveyors are rolling smoothly, and inspect every installation you have to prevent damage or issue. Do you have any other big plans for spring cleaning your warehouse? Drop a comment below!